Hawaii Beach Wedding Dressing Tips And Ideas: For That Perfect Hawaiian-theme Wedding! Your wedding is the moment that you have dreamt of since your childhood. So if anything it needs to be it is to be pitch perfect. This calls for the perfect destination, the best of the wedding rings, and that fairy-tale wedding dress. Yes, you require your better half too, but let’s get a little materialistic now, shall we? The wind, sand, and sea are going to play a prominent role in what feels good to wear. Also, if you have planned a Hawaiian wedding then you surely must be ready for last moment weather changes. Therefore, selecting a dress that suits every need is essential. If you have decided on for a wedding theme then it is all the more essential that you rock the look. This is where you can get sneaky and select a theme which flatters you the most. If you have selected one of the wedding places on the beach then your outfit might as well be a Hawaiian dress as it suits the best with the backdrop. Skip the regular formal gown and chapel train as it will weigh you down. Billowing skirts, lace work, and slits give you the right dress shape that you’ll need. Make sure that you carry a light shawl, stole or wrap in order to work with the sea breeze and keep the goose-bumps at bay. You surely wouldn’t want something flashy and over the top for a beach wedding in Hawaii. You need to play it suave and soft. If you are up for a change then you can select floral ornaments, these will not only go well with your Hawaiian dress but also put an emphasis on your Hawaiian wedding ring, if that’s what you choose to exchange as wedding bands. High heels are a big no-no unless there will be a carpet for you to walk around everywhere. The best options would be flip-flops but yes, we know that they won’t go well with your dress. Guess what? You can strut around barefoot too! If the idea isn’t that comfortable then you can opt for peep-toe shoes so that there is space for the sand to fall off from. Being totally practical over here. These are a part of the longstanding Hawaiian marriage customs which people incorporate into their destination wedding plans. You might exchange the same during your ceremonies and also give certain floral headbands and tiaras for your guests to wear. Though it isn’t a part of dressing and accessories, your makeup is what makes your features pop out and hence you ought to make the most of your skills or take professional help and get your wedding look right! 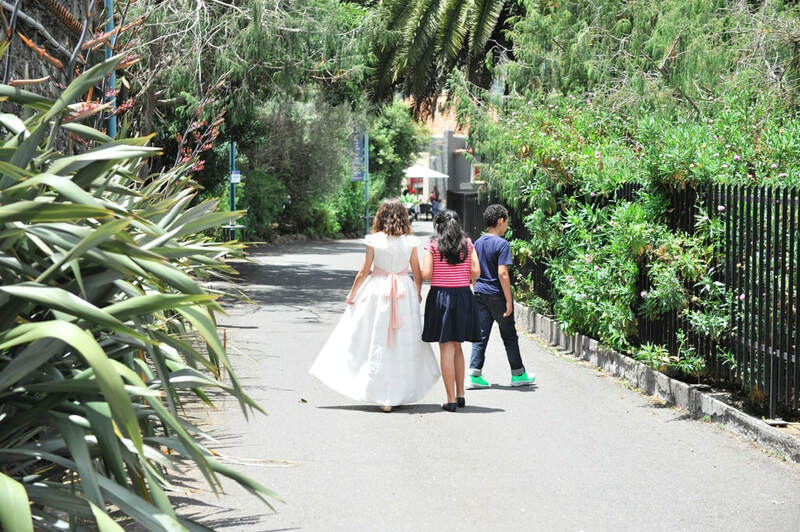 To make your bridal fairy-tale come true, just book for yourself Hawaii weddings on a budget where they make ends meet. 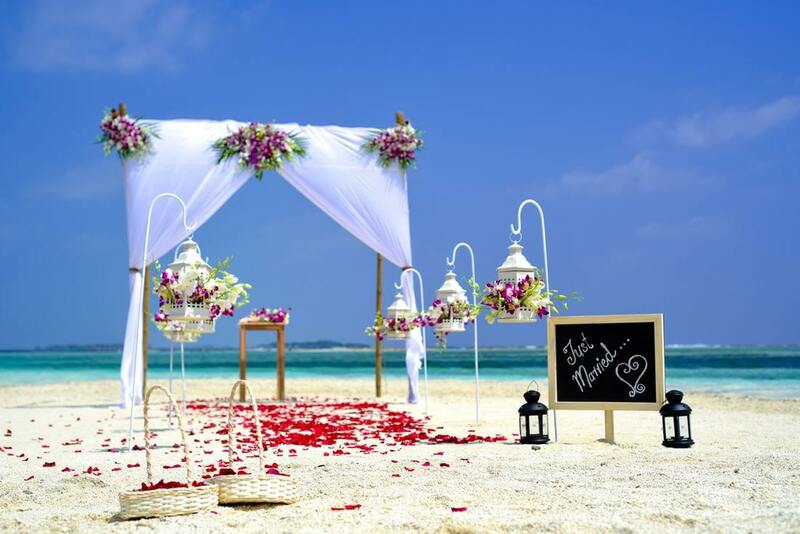 Today’s generation dreams of having the real kind of exotic destination wedding for wedding is one of a kind occasion. Getting married at such a romantic sunny destination such as Hawaii is a win-win scenario for a going to be married couple. 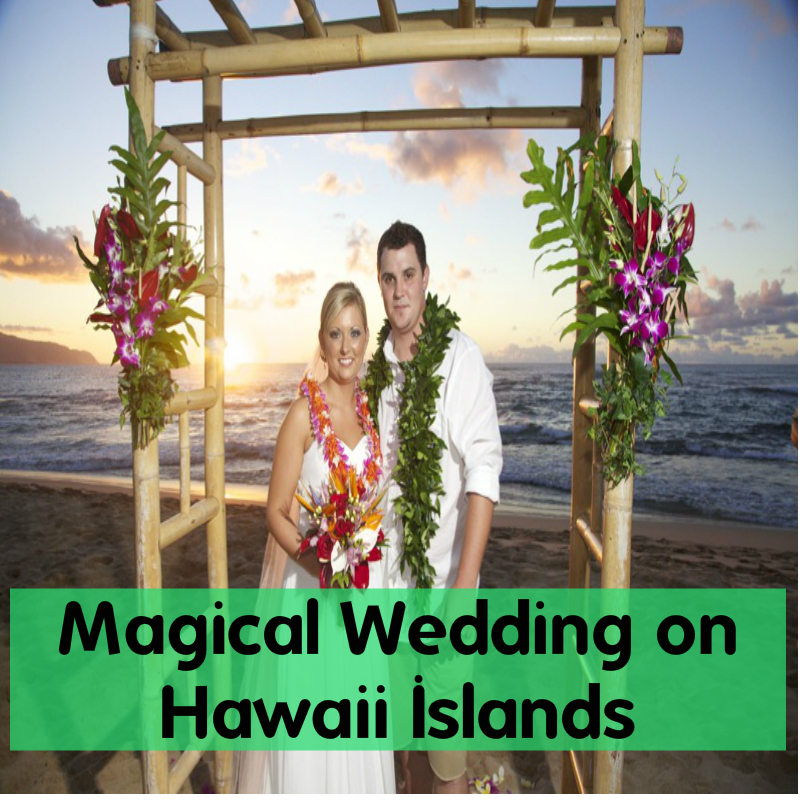 But going about the process of getting married in Hawaii is in all a different and challenging process as obviously it firstly needs to suit your own budget before you go ahead and approach a Hawaii wedding planner. There are certainly many options available for an Affordable Hawaiian Wedding but for this couples need to do quite a lot of research work as to what kind of services they require in their wedding package to make their perfect day a memory that is equivalent to the value for money. Talking about Affordable Hawaii Wedding sometimes the couples are fooled by the wedding planner, for they might get less for the price the couple paid and this is really ignorant on the part of the couple. Sometimes the wedding planner is quite pre-occupied and he might commit some mistakes unknowingly and that might turn the couple upset. 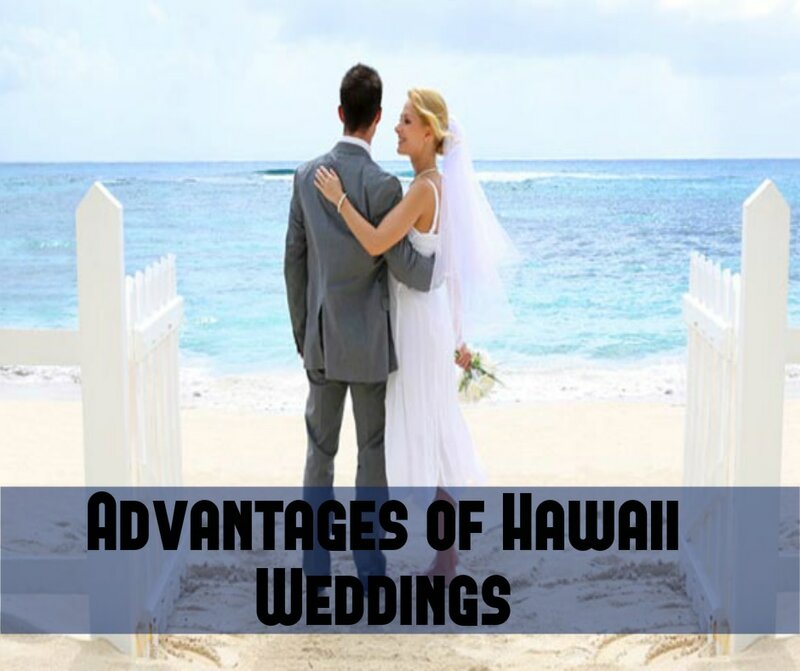 Therefore we have come up with a list of mistakes that are common in a Hawaii wedding along with methods to avoid them. A wedding day demands a way lot more from the couple than just financial expense. It is a kind of team work where all the precautions and measures are to be taken before hand so that the couple can enjoy their wedding day without any stress. Therefore it is important to write down all your major expenses, ideas, to-do lists, guest list and also if you are planning to hire a wedding planner go on consulting 2-3 of them and keenly observe what are their packages and what services you require. Who doesn’t want a cheap Hawaii wedding in which you get all your desired necessities? Obviously everyone does but for the sake of getting an Affordable Hawaiian Wedding do not go on doing everything by yourself, things such as decoration or making the flower arrangement (thanks to pin interest). Before going on for planning your attire for the wedding date do not forget to make a guest list because it is the place that would blow up your budget if not pre-planned earlier. Moreover you need to decide this strictly in advance as you might pay up to the planner for a large number of people but the guests that could make up to your wedding venue but be least than you expected. Moreover if you know a certain amount of people that would come up then you could plan your food, beverages and variety of dishes accordingly and also spend some extra saved bucks taking up an additional service from the wedding planner. It’s obviously important to take care of the guests as you yourself are the hosts to such a big occasion else you would seem to be inconsiderate about them but not to forget it’s your own wedding and you need to enjoy it more and not be inconsiderate about yourself. Eat and drink in an appropriate manner so as to look descent enough at the same time enjoy the delicacies and taste of your own settled brunch. The wedding planner shouldn’t turn out to be an ignorant person as the couple totally depends on him/her for their dream fancy Affordable Hawaii wedding. The couple should be disclosed with all the expenses and short coming and shouldn’t be kept in any kind of dilemma related to the wedding set-up, food, decoration, certificate and registration. The package price should be inclusive of the expenses and it should not be that later on the couple is asked to pay for something which is not addressed earlier. The wedding planner in Hawaii should carefully bring to notice of the couple the type of weather of the place and pre-plan all the sequences of the events that has to take place from the exchange of lei till the end of the wedding ceremony. The couple should be brought into notice all the precautions they must take to avoid over budgeting are rather stick to what is pre-planned. The planner must turn out the wedding into a Hawaii all inclusive wedding package so that the couple can sit, relax and enjoy their wedding while their guests have a gala time. It’s obviously easy to pre-plan and stick to the things that have to be done. It’s obviously a team work of the planner and the couple to make the exotic Hawaiian wedding an Affordable Hawaii wedding affair, and turn out the dream wedding to success. Why You Must Experience Hawaii Weddings. When marrying in a destination wedding, you won’t have to think about the arrangements that perhaps would be required in a traditional wedding, and thus you can easily avoid stress and enjoy the marriage at the very best. This is available in a very affordable budget and thus you get the value for money. There is a lot of family drama involved in traditional weddings such as whom should we invite in our marriage? Who would be the bridesmaids? 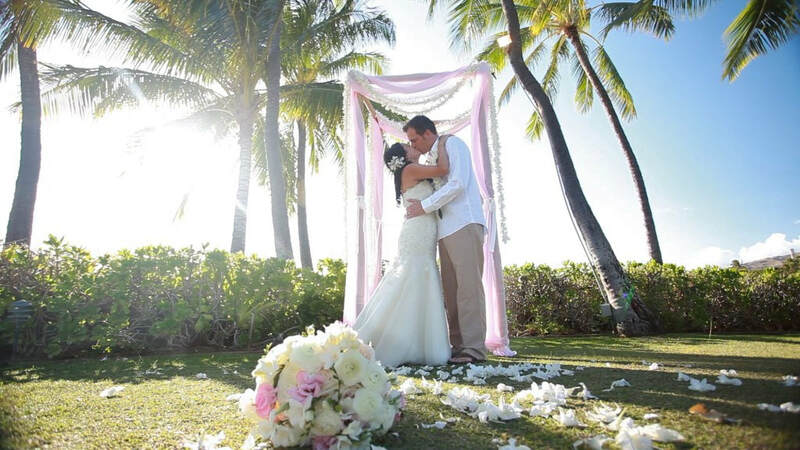 So feel positive and choose Wedding in Hawaii to enjoy the best moment of your life without any family drama. The cost involved in traditional weddings is a lot and can even be as much as buying a house. A survey suggests that a traditional wedding costs around $30000 for approx. 150-175 guests. But in Hawaii Weddings, you can have plenty of stuff that can be done such as bridal makeup, Videography, Photography, marriage license etc. that too at a very budget price of $500. 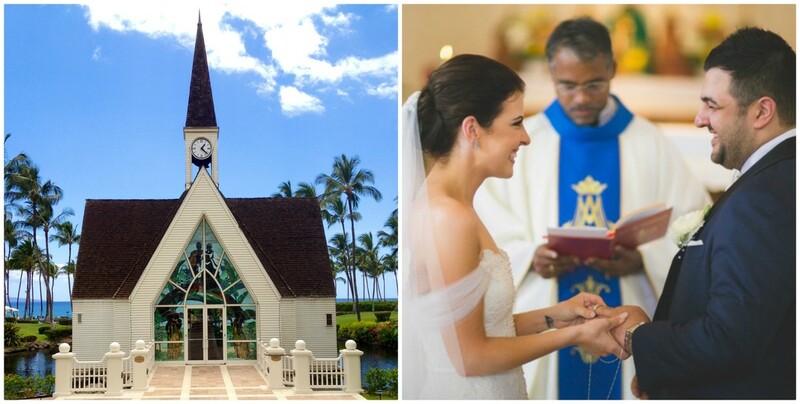 Traditional people prefer that marriage should happen only in churches but the fact when there is wedding of Hawaii you can indeed choose the place where you want to get married such us on a beach or a beautiful waterfall. 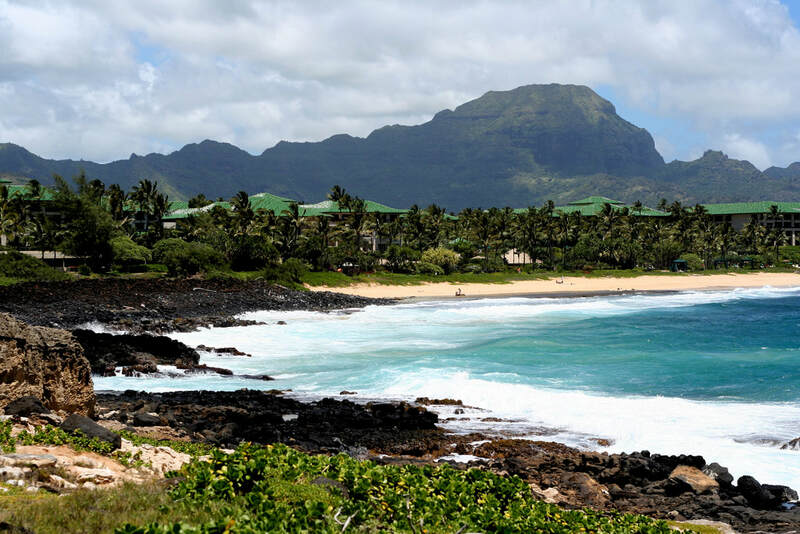 Surf song in Kauai is the perfect place for the occasion of marriage consisting of around 10-20 people. You will witness the perfect glance of the ocean covered with a small sand beach. The Kona Beach Bungalows in big island consist of 5 vacation houses.It consist of Jacuzzi and salt water pool, and it has a capacity to accommodate 34 peoples. You can also have a great glance of the sunset. 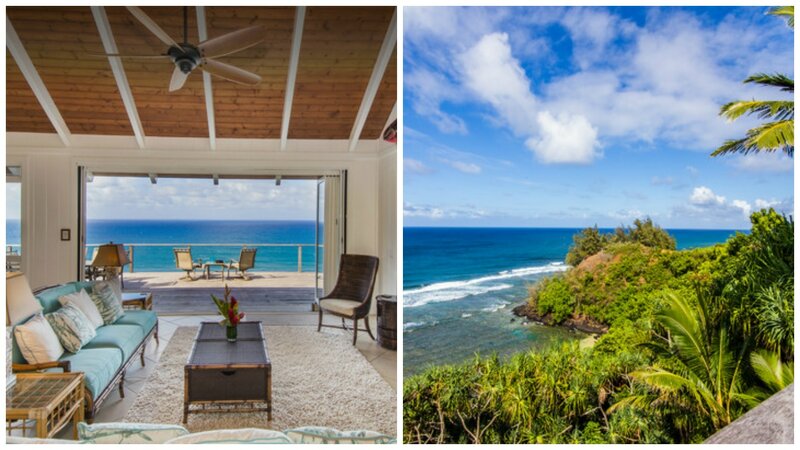 The Kukahiko Estate consists of a two bedroom house and a fine kitchen. The place is amazing and is covered up with a lot of scenery. It is covered up with ocean and is particularly good for a small wedding. 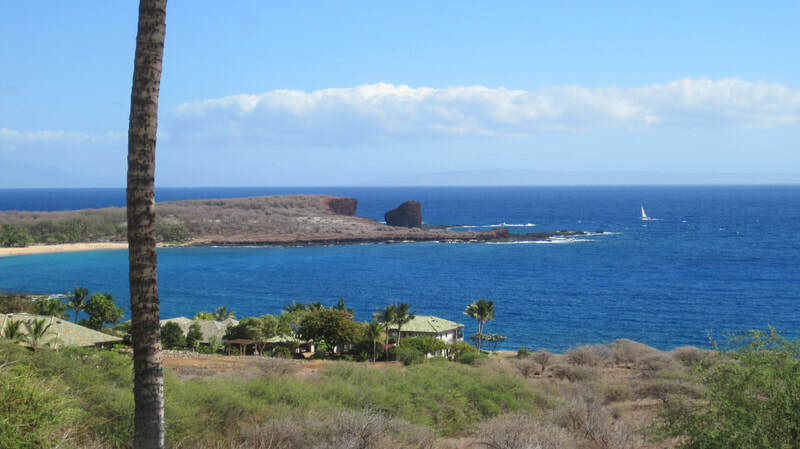 The Dillingham Ranch is covered up with 19 acres of land and offers views of Waianae Mountains and surfing beaches. It also offers couples for a tented reception and is considered best wedding spot. His place has a stunning beauty, and it consist of a spectacular waterfall, a main lawn, and a pavilion. 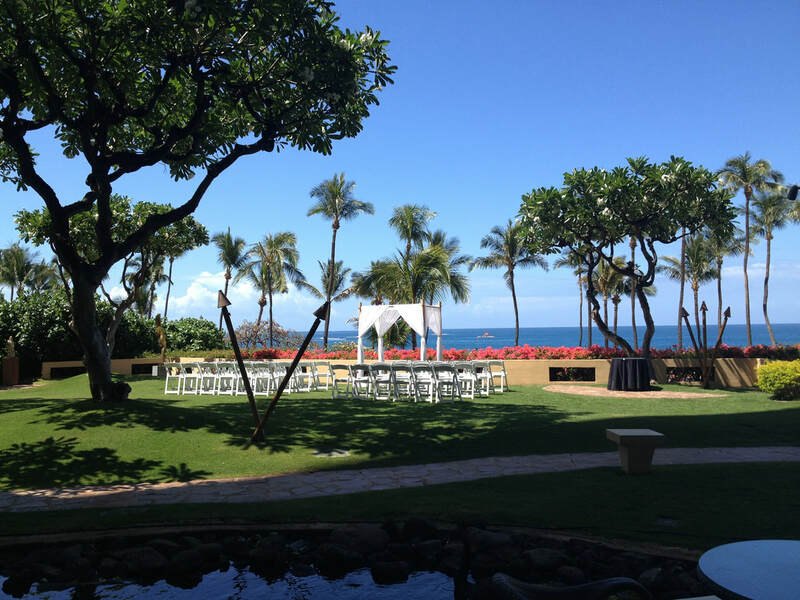 It is considered as one of the best Wedding venue in Hawaii. 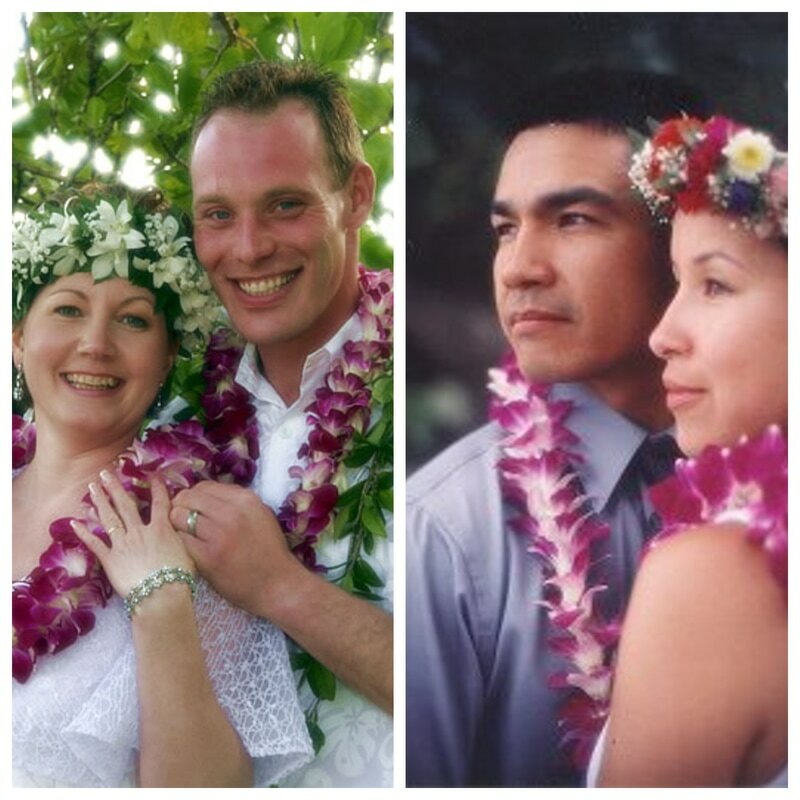 Hawaii Weddings: Marrying With Hawaiian Wedding Traditions! 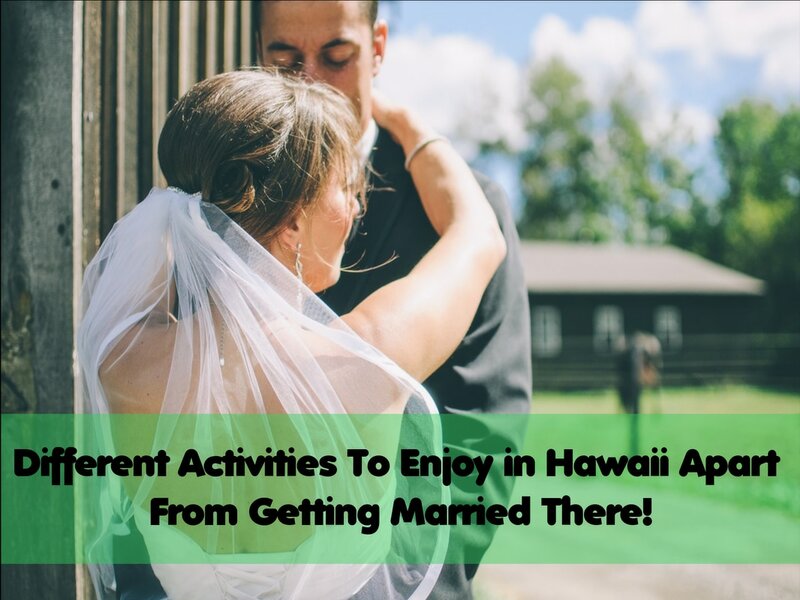 Well, anyone can plan a destination wedding with a western wedding ceremony but traditional Hawaii weddings have a different fun and excitement. 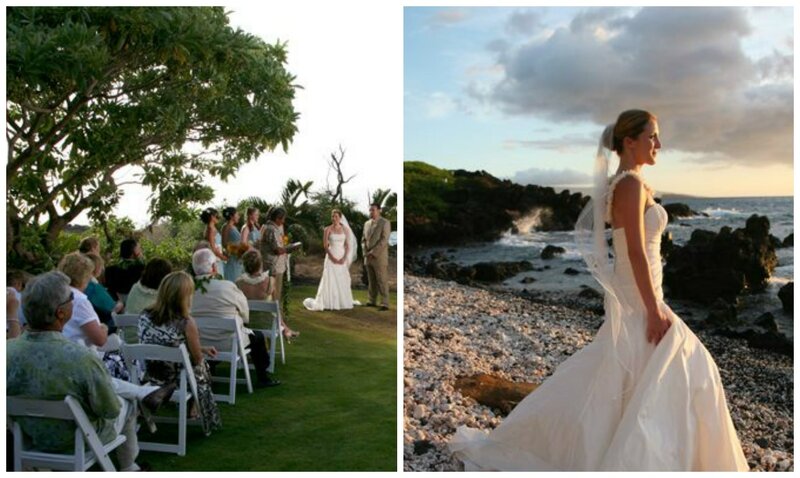 There is nothing more exciting than exchanging vows in Hawaiian style at some beautiful Hawaii wedding locations. You just have to choose from the best Hawaii wedding packages to make your special day more special. 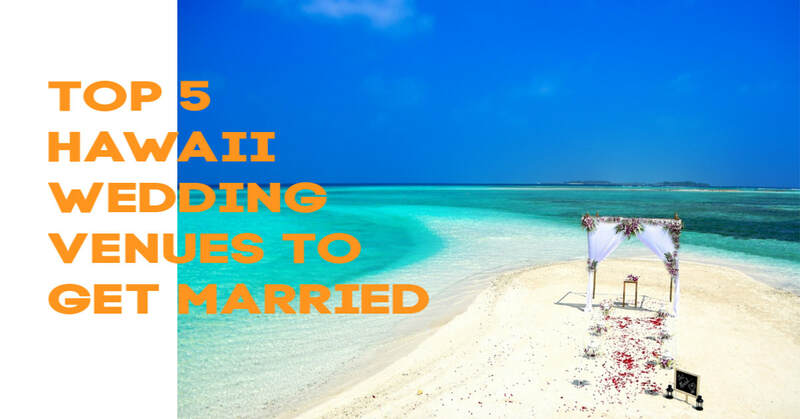 Getting married in the Hawaiian islands is not just about you and your soul mate, but you will be enamored by the physical beauty and the culture of this place. 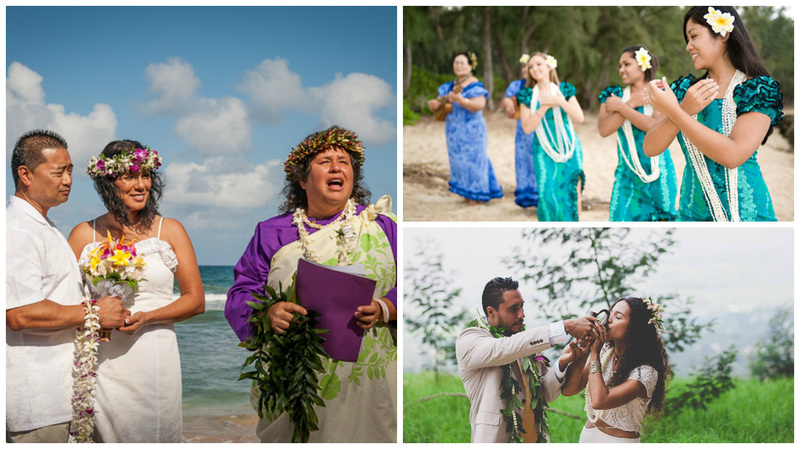 So when you are marrying in Hawaii, be sure to add a touch of aloha culture to your big day. The amazing venues of this place will make a gorgeous wedding from beginning to end, creating a breathtaking wedding experience for both the couple and the guests. Moreover, choosing from the astounding Hawaii wedding locations like Maui, Waikiki, Kauai, Lanai, and Pukalani Falls will impart a new look and feel to your wedding day. The stunning scenic beauty and gorgeous beaches of these locations form compelling settings for romance, making your big day a grand affair. For all those who are looking for a different wedding environment, there is no place like Hawaii. It is romantic, beautiful, and tranquil and is definitely a vacation paradise. So not just your wedding, you can even plan out your honeymoon here for an unforgettable experience. 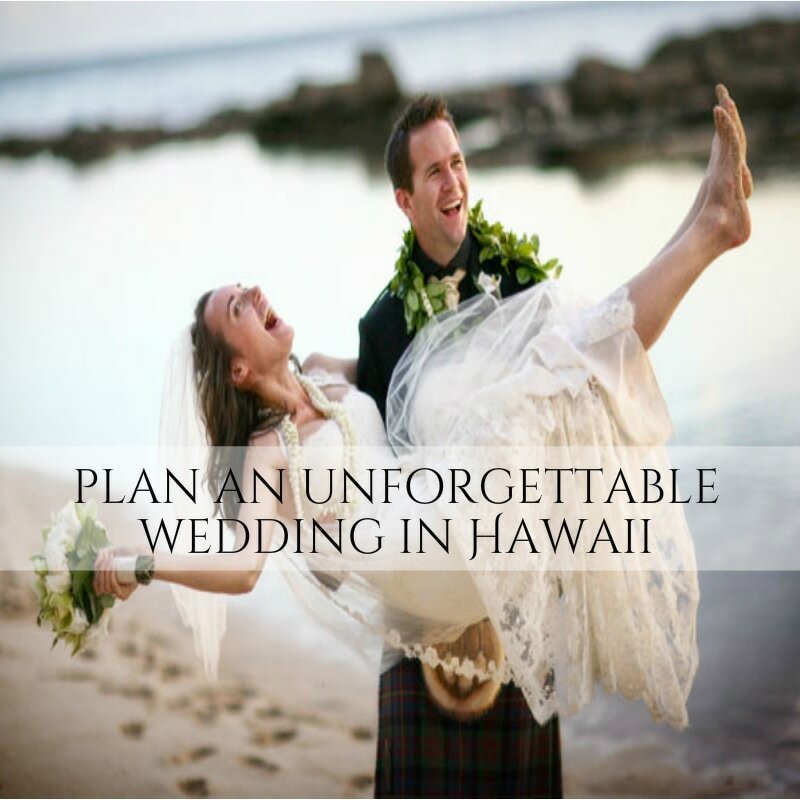 There are so many wonderful choices when deciding upon Hawaii weddings. But if you want everything to be pre-planned in advance, then there is a range of Hawaii Wedding Packages to choose from. They not only offer you attractive lodging but also takes care of all the arrangements at a wedding spot. You can even get your travel packages included in them. In this way, when you will reach Hawaii, you will find everything ready. And, if you are thinking of getting married in traditional Hawaiian style, then there are a number of different Hawaiian traditions. You can select your favourite to incorporate in your wedding and can make the entire process much more interesting, beautiful and meaningful. This is the reason why Hawaiian Weddings catch the attention of so many couples. The beauty of this type of wedding lies in its different approach, its traditions, and simplicity. The exchange of leis between the bride and groom in Hawaii Weddings serve as the symbol of eternal love. This leis for the bride is white flowers and for the groom is green leaves, which are exchanged with a Hawaiian wedding song and the recitation of vows by the couple. After this, the rings are exchanged. All these things make Hawaiian weddings one of its kinds. This is how a traditional Hawaiian wedding takes place. But you don’t have to add all these traditions into your wedding. Just the one that moved you a lot will do wonders for your big day. Guys! Planning a destination wedding in Hawaii is not a big deal now. With so many interesting Hawaii wedding packages you can go for the best Hawaii wedding locations and can fulfil your dream wedding anytime, anywhere.